Home / Physicians / Ajay C. Lall, M.D., M.S. Dr. Ajay C. Lall is a dual fellowship trained orthopaedic surgeon specializing in sports medicine and hip arthroscopy in the Chicago area. His background includes orthopaedic sports fellowship training at the world renowned American Sports Medicine Institute / Dr. James Andrews Sports Medicine & Orthopaedic Center, Birmingham, AL. 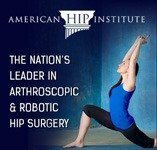 He has also completed a formal hip preservation fellowship under master hip arthroscopist and reconstruction expert, Dr. Benjamin G. Domb, at the American Hip Institute, Chicago, IL. He is an avid clinical researcher with numerous presentations and publications at international academic meetings and within top peer-reviewed journals. Dr. Lall has treated collegiate, professional, and elite level athletes, including players for the NFL, NBA, MLB, PGA, NCAA and WWE. 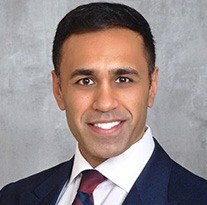 Dr. Lall treats patients from across the country who travel to Chicago for their surgery, and he takes pride in caring for every patient like a professional athlete.